Background: Homonoia riparia is a plant, which is widely used in the indigenous system of medicine for the treatment of urolithiasis, renal disorders and inflammatory conditions. This is the first report on the antioxidant and nephroprotective activities of whole plant of H. riparia. Objective: The present study aims at investigating the in vitro antioxidant and nephroprotective activity of the methanol extract and its different fractions of H. riparia. Methods: Petroleum ether (HRPE), Ethyl acetate (HREA), Butanol (HRBU), aqueous fractions (HRAQ) were prepared from the crude methanol extract of H. riparia (HRM) using liquid partitioning. 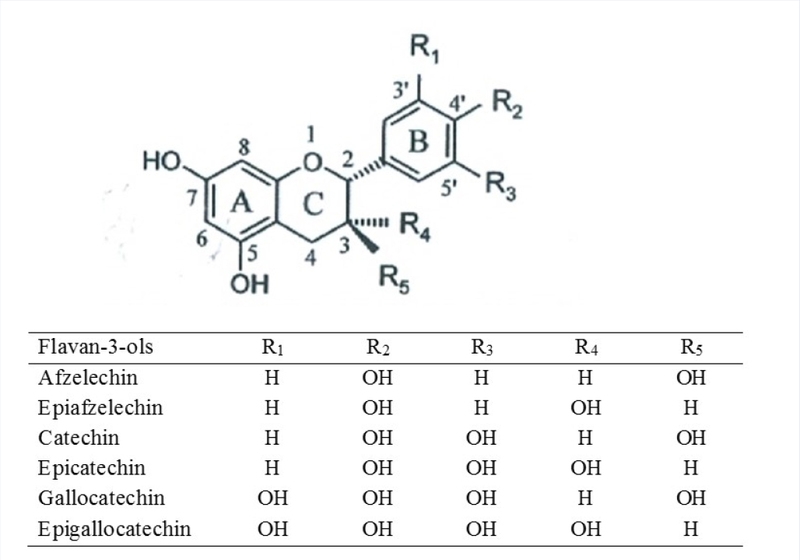 Total phenolic content, flavonoid content and antioxidant activity assay were performed according to suitable methods. Nephroprotective activities were evaluated by MTT assay using Human Embryonic Kidney cells against cisplatin induced toxicity. 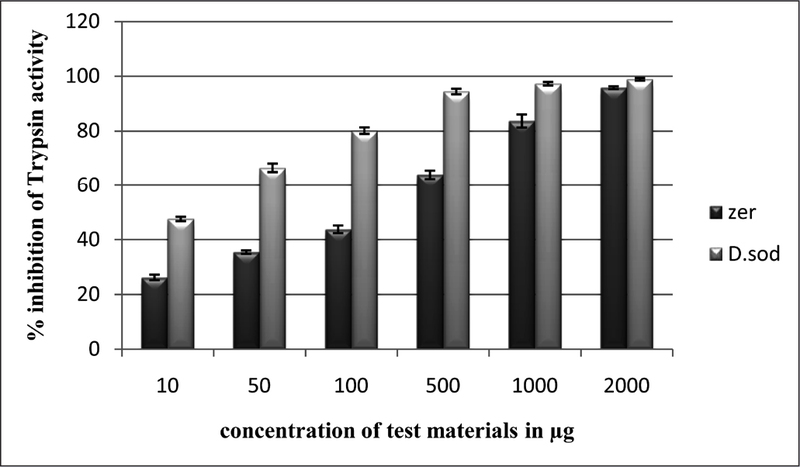 Quantification of gallic acid was performed using validated HPTLC method. 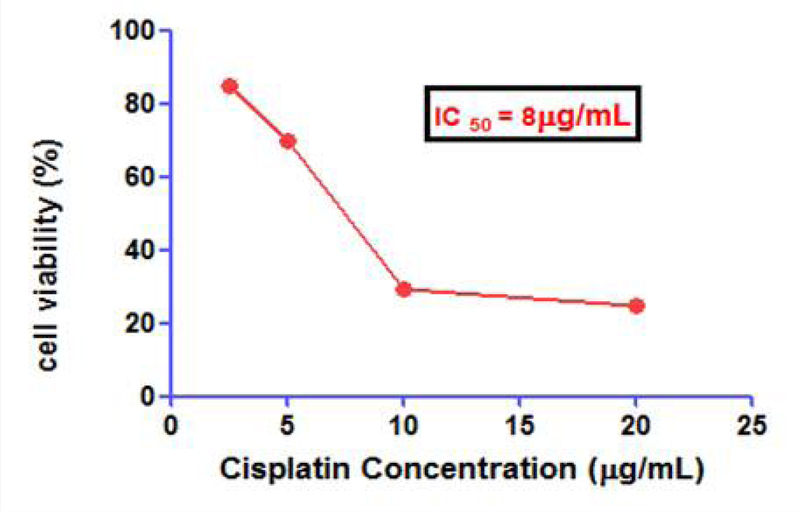 Results: The studies showed that extract and fractions possess significant nephroprotective activity against cisplatin induced renal toxicity. 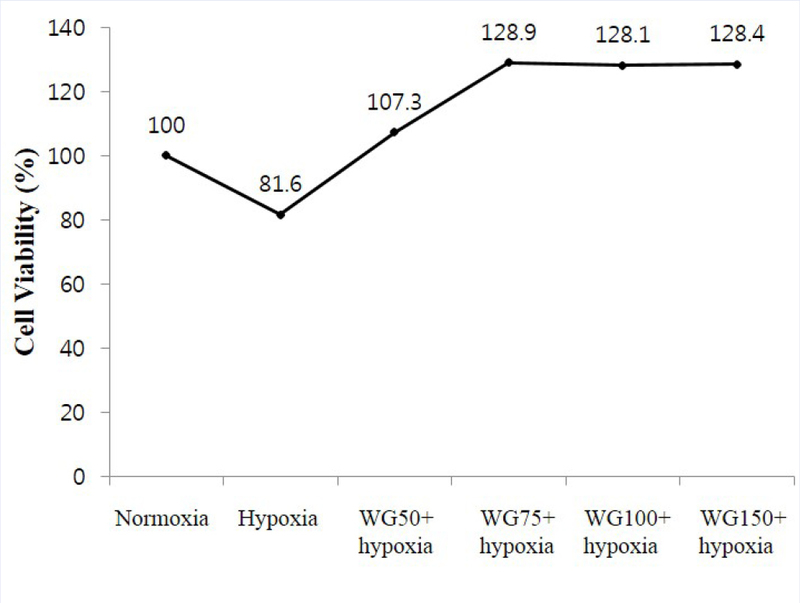 All the extracts/fractions of whole plant of Homonoia riparia was found to be significantly reducing cisplatin induced toxicity (< 0.05). 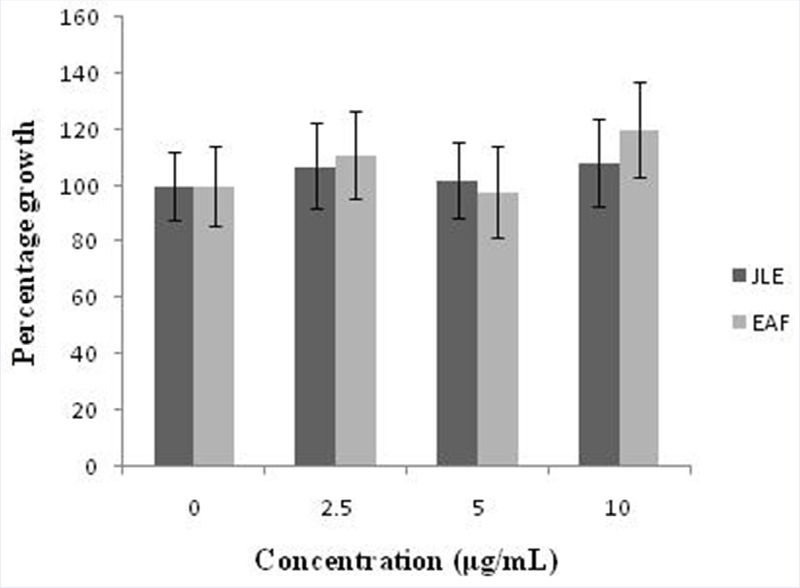 The highest activity was observed with HRBU and HRAQ with a percentage viability of 293.09 ± 4.3 and 345.07 ± 3.2 at a concentration of 200 µg/ml. 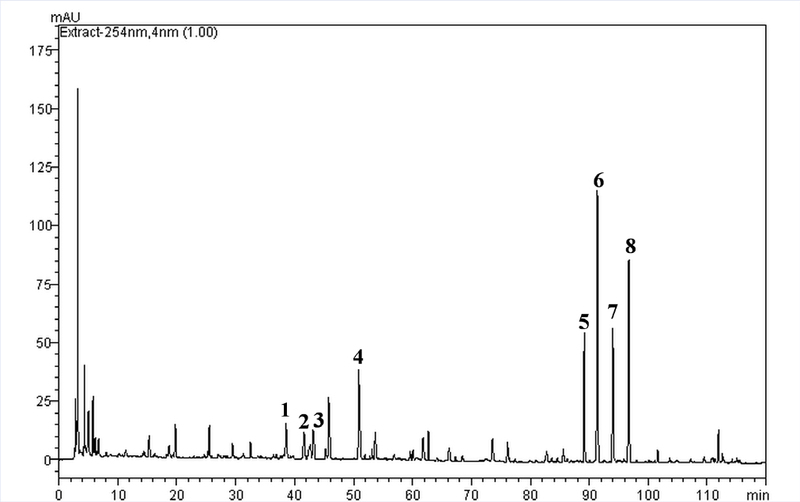 Gallic acid was detected in the HRM/fractions using HPTLC. Abbreviations used: HPTLC: High Performance Thin Layer Chromatography, DPPH: 1,1-diphenyl-2-picrylhydrazyl, ABTS: 2,2'-azino-bis(3-ethylbenzothiazoline-6-sulfonic acid) diammonium salt, MTT: 3-(4,5-dimethylthiazolyl-2-yl)-2,5- diphenyl tetrazolium bromide, GAE: Gallic acid equivalents, QE: Quercetin equivalents, HEK: Human Embryonic Kidney, HRM: Methanol extract of H. riparia, HRPE: Petroleum ether fraction of H. riparia, HREA: ethyl acetate fraction of H. riparia, HRBU: Butanol fraction of H.riparia, HRAQ: Aqueous fraction of H. riparia, DMEM: Dulbecco's minimum essential medium, FBS: Foetal bovine serum, DMSO: Dimethyl sulfoxide, ANOVA: One way analysis of variance. Background: Juniperus communis Linn. is an important plant in India traditional system of medicine which is widely used by different tribes in many countries. Objective: In the present study, the antioxidant, cytotoxic and hepatoprotective activities of Juniperus communis leaves were investigated against various models. 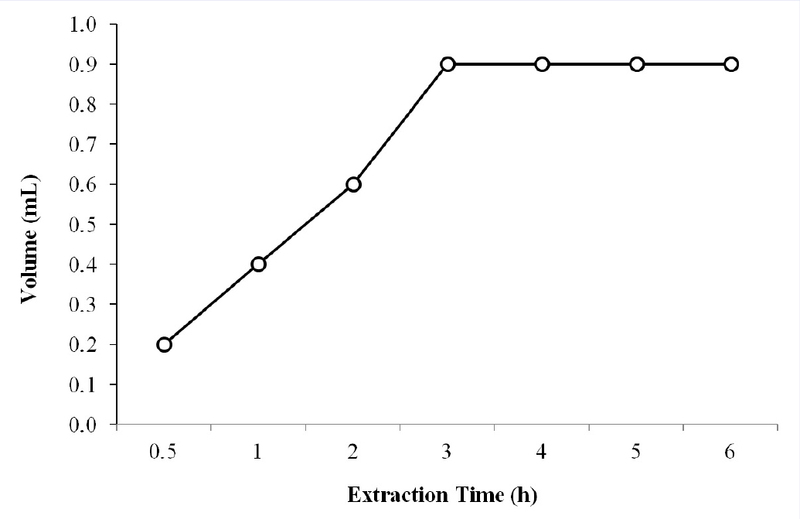 Materials and Methods: ethanolic extract (70% v/v) of J. communis leaves was successively extracted using hexane and ethyl acetate to prepare various fractions. Total phenol content was resolute by the Folin-Ciocalteau's process. 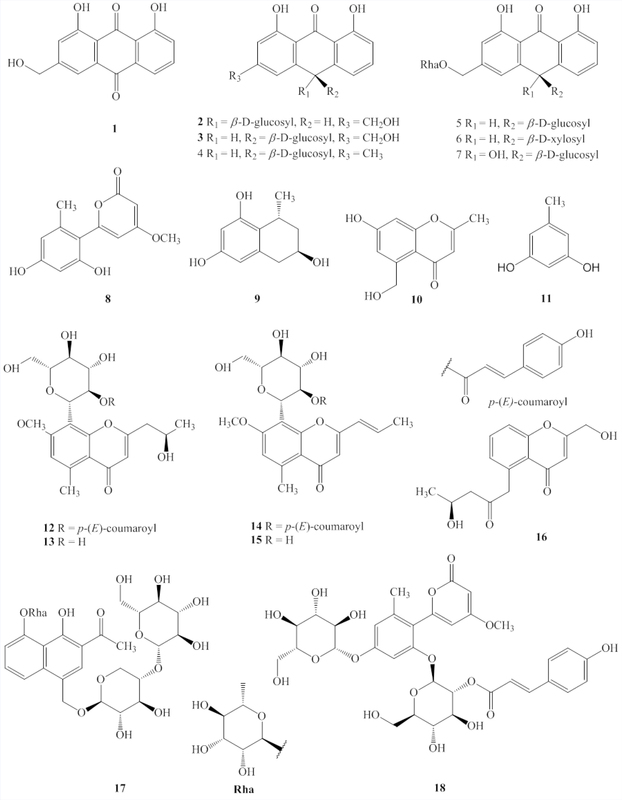 The antioxidant properties of the different fractions/extract of leaves of J. communis were examined by 2,2-diphenyl-1-picrylhydrazyl (DPPH) radical scavenging activity and Fe2+ chelating ability. Cytotoxic activity was examined by cell viability assay on HepG2 cells. Hepatoprotective activity of ethyl acetate fraction (EAF) evaluated against PCM-Paracetamol-induced hepatic damage in Wistar albino rats. Results: Total phenol content was found maximum 315.33 mg/GAE/g in EAF. 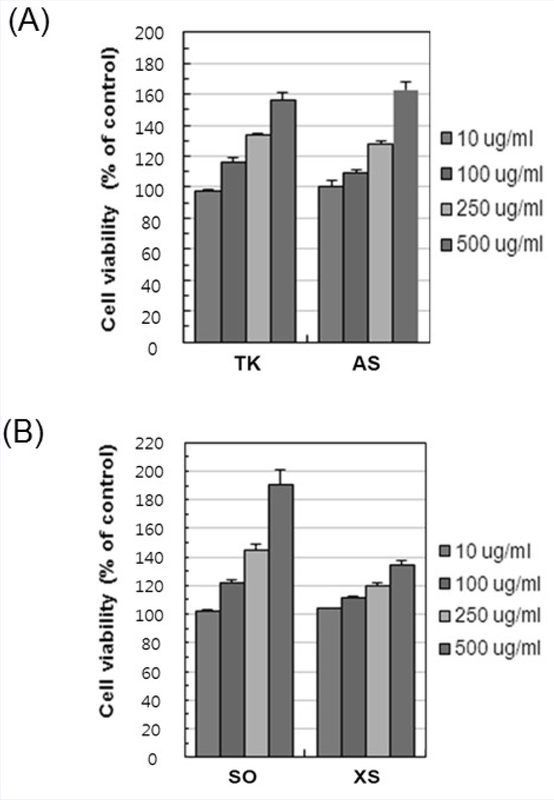 Significant scavenging activity were found for EAF (IC50 = 177 μg/ml) as compared to standard BHT (IC50 = 138 μg/ml), while EAF showed good Fe2+ chelating ability having an IC50 value of 261 mg/ML compared to standard ethylenediaminetetraacetic acid (7.7 mg/mL). 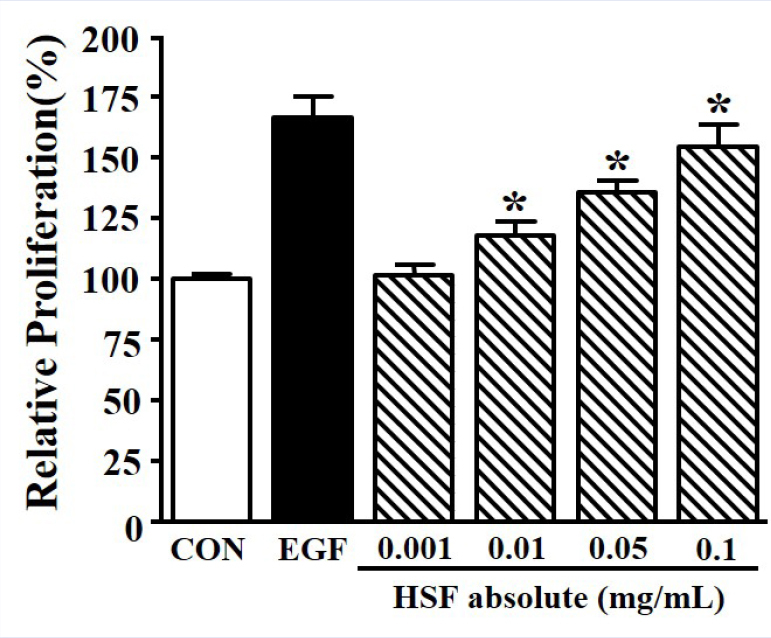 It was found that EAF treated group shows remarkable decrease in serum Aspartate aminotransferase, serum Alanine aminotransferase, total bilirubin, direct bilirubin, and alkaline phosphatase level in treatment group as compared to the hepatotoxic group. Conclusion: EAF of J. communis leaves is found to be potent antioxidant and hepatoprotective without any cytotoxicity and it can also be included in nutraceuticals with notable benefits for mankind or animal health. Abbreviations used: HepG2: Liver hepatocellular carcinoma, BHT: Butylated hydroxytoluene, PCM: Paracetamol, IC50: Half maximal inhibitory concentration, RSA: Radical Scavenging Activity, WST: Water-soluble tetrazolium. 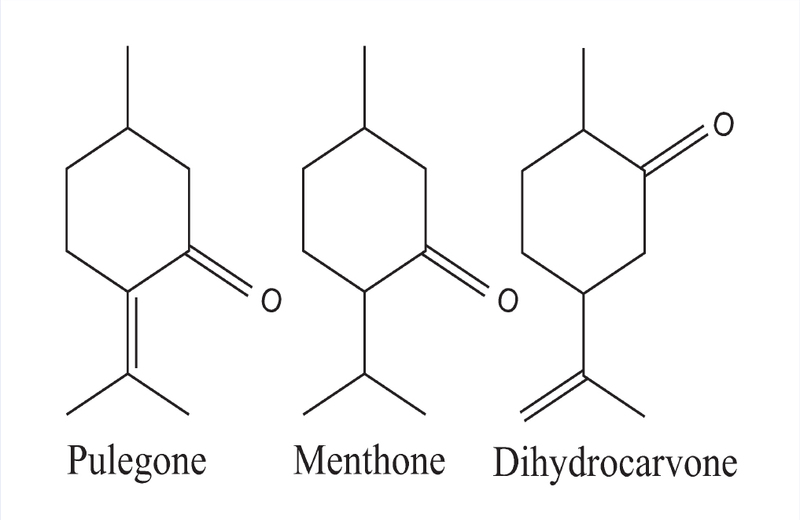 Background: It is well known that the naturally occurring modified triterpenes in plants have a wide diversity of chemical structures and biological functions. 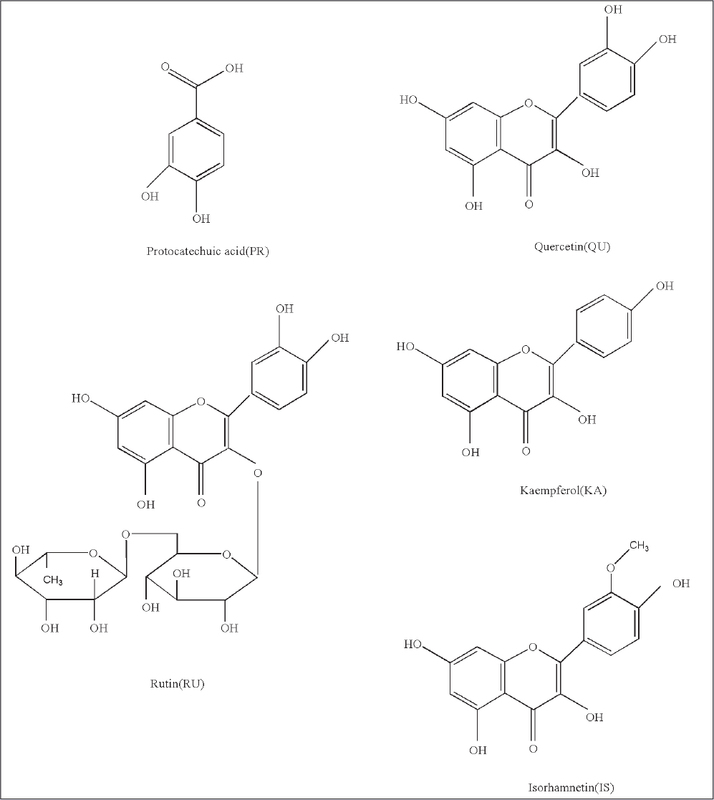 The lupane-oleanane-and ursane-type triterpenes are the three major members of natural triterpenes with a wide range of biological properties. A systematic approach is necessary to review their structures and biological activities according to the backbones and the different substituents. 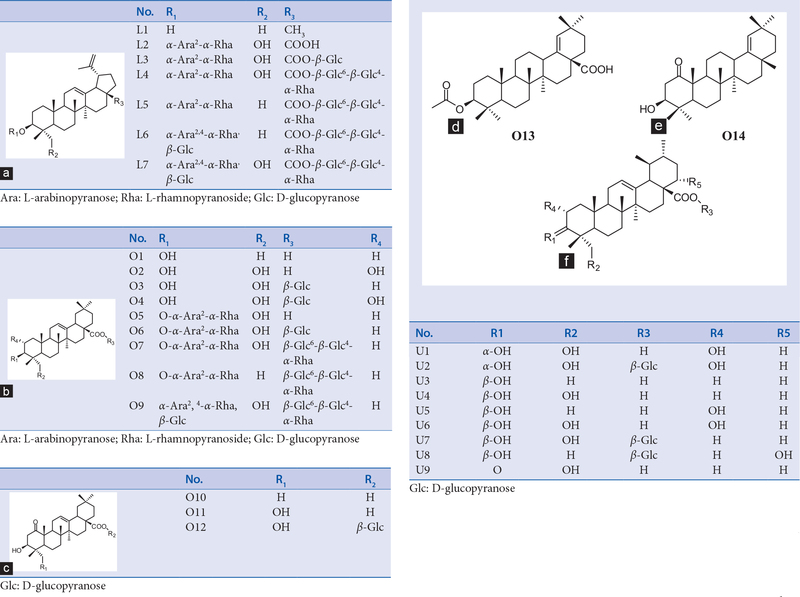 Objective: Thirty lupane-(L1-7)oleanane-(O1-14)and ursane-type (U1-9) triterpenes with structural diversity were examined to evaluate their cytotoxic activities against two cancer cell lineshuman hepatocellular carcinoma (HepG2) and AGS cells. 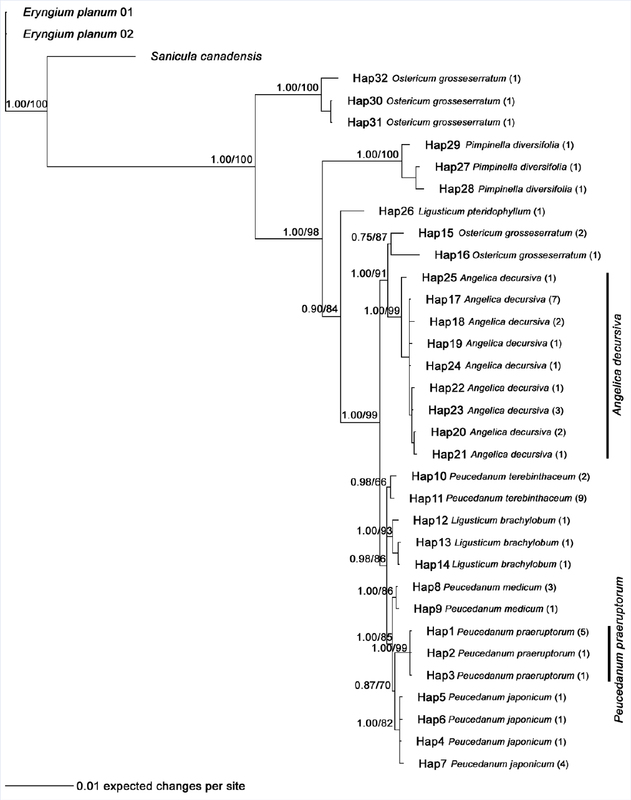 Materials and Methods: They were isolated from Hedera helixJuglans sinensisand Pulsatilla koreana using a series of column chromatography methods and were treated to evaluate their cytotoxic activities against HepG2 and AGS human gastric adenocarcinoma cell. Furthertwo triterpenes showing the most potent activities were subjected to the apoptotic screening assay using flow cytometry. Results: The polar groupssuch as an oxo group at C-1a free hydroxyl at C-2C-3or C-23and a carboxylic moiety at C-28as well as the type of backboneexplicitly increased the cytotoxic activity on two cancer cells. 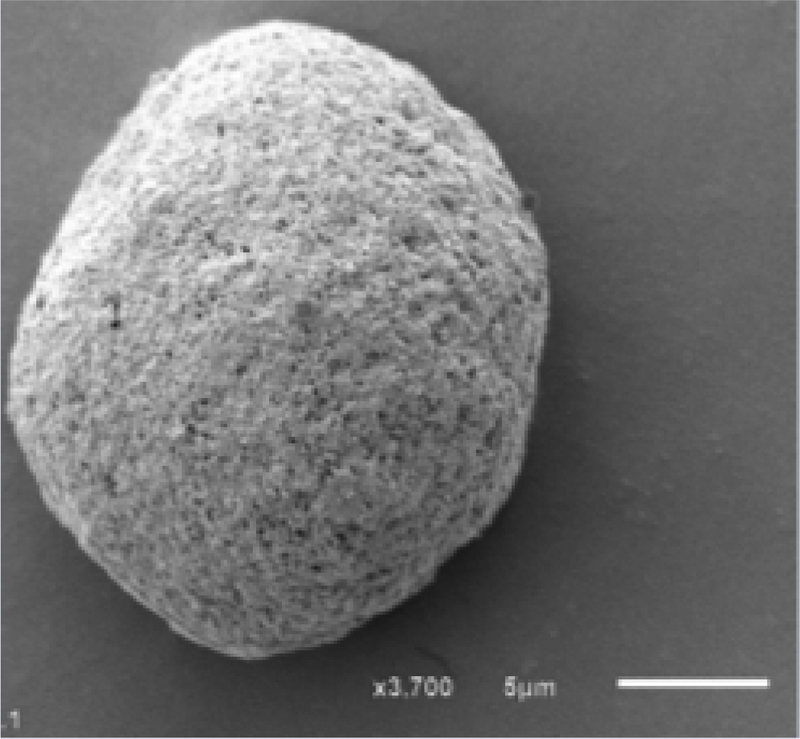 O5 and U5 showed significantly the potent cytotoxic activity in comparison to other glycosidic triterpenes. In annexin-V/propidium iodide (PI) staining assaythe percentage of late apoptosis (annexin-V+/PI+) 12 and 24 h after treatment with O5 and U5 at 25 μM increased from 14.5% to 93.1% and from 46.4% to 49.1%respectivelyin AGS cells. The cytotoxicity induced by O5 showed a significant difference compared to U5 for 12 and 24 h. Conclusion: In the studywe can suggest the potent moieties which influence their cytotoxic activities against two cancer cells. The polar groups at C-1C-2C-3C-23and C-28 and the linkage of sugar moieties influenced the different cytotoxic activities. Context: Dendrobium candidum (D.candimum) widely is a functional drug. The curative effect of D. candidum on lupus nephritis has been studied in vivo. 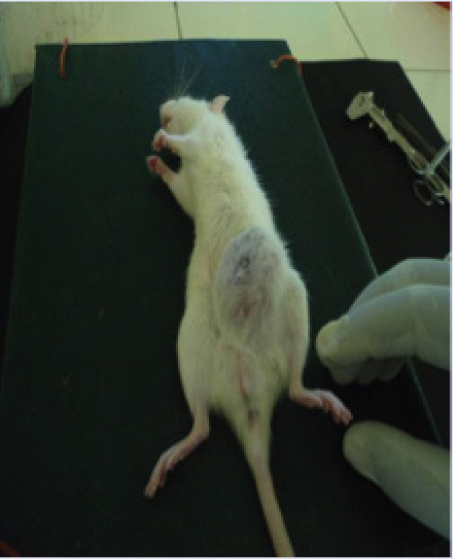 Materials and Method: The DBA/2 and B6D2F1 mice were used for this in vivo experiment. The 50% effective dose (ED50) was used to check the effective concentration for this study. Then the SCr, BUN, TC, TG, IL-6, IL-12, TNF-α, and IFN-γ levels were determined by kits. The output of urine protein was determined by means of Coomassie Brilliant Blue, and the auto-antibody dsDNA was determined with titer plate technology and indirect immunofluorescence. The NF-κB, IκB-α, TGF 'β1, Fas, and FasL expressions were measured by RT-PCR and western blot assay. The component analysis of D. candidum was determined by nuclear magnetic resonance. Results: Based on the ED50 result at 329 mg/kg, 200 and 400 mg/kg doses were chosen for this study. SCr, BUN, TC and TG levels of 400 mg/kg D. candidum mice were lower than control mice, TP and ALB levels were higher than control mice. The control and 400 mg/kg treated mice tested positive for dsDNA at the end of sixth and tenth week after the experiment began. The glomerular number of 400 mg/kg treated mice was more than control group. 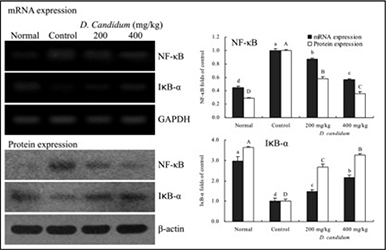 Treatment with 400 mg/kg D. candidum reduced IL-6, IL-12, TNF-α and IFN-γcytokine levels as compared to control mice. 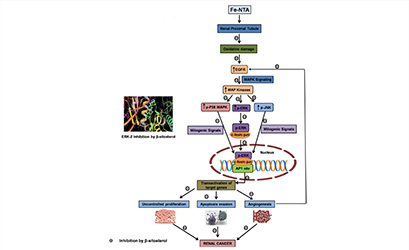 D. candidum decreased NF-κb, TGF 'β1, Fas, FasL and increased IκB-α expressions in kidney tissue. There were 11 compounds in dry D. candidum, these compounds might make the curative effects of lupus nephritis. Conclusion: D. candidum showed a potential curative effect on lupus nephritis. 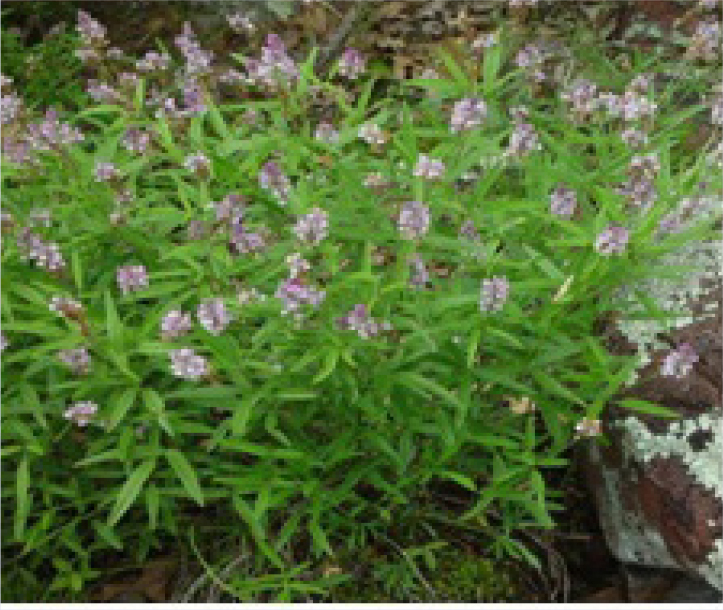 It could be used as a health medicine on lupus nephritis. Abbreviations used: LN: Lupus nephritis, SLE: systemic lupus erythematosus, D. candidum: Dendrobium candidum; IL-6: interleukin-6, IL-12: interleukin-12, TNF-α: tumor necrosis factor alpha, IFN-γ: Interferon-gamma, SCr: serum creatinine, BUN: blood urea nitrogen, TC: total cholesterol, TG: triglyceride, TP: total protein, ALB: albumin. Background: Daikenchuto (DKT; TJ-100, TU-100)a traditional herbal medicineis used in modern medicine to treat gastrointestinal (GI) functional disorders. Interstitial cells of Cajal (ICCs) are the pacemaker cells of the GI tract and play important roles in the regulation of GI motility. 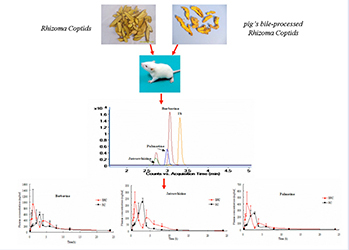 Objective: The objective of this study was to investigate the effects of DKT on the pacemaker potentials (PPs) of cultured ICCs from murine small intestine. Materials and Methods: Enzymatic digestions were used to dissociate ICCs from mouse small intestine tissues. All experiments on ICCs were performed after 12 h of culture. The whole-cell patch-clamp configuration was used to record ICC PPs (current clamp mode). All experiments were performed at 30-32°C. Results: In current-clamp modeDKT depolarized and concentration-dependently decreased the amplitudes of PPs. Y25130 (a 5-HT3 receptor antagonist) or SB269970 (a 5-HT7 receptor antagonist) did not block DKT-induced PP depolarizationbut RS39604 (a 5-HT4 receptor antagonist) did. 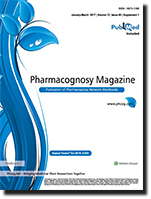 Methoctramine (a muscarinic M2 receptor antagonist) failed to block DKT-induced PP depolarizationbut pretreating 4-diphenylacetoxy-N-methylpiperidine methiodide (a muscarinic M3 receptor antagonist) facilitated blockade of DKT-induced PP depolarization. Pretreatment with an external Ca2+-free solution or thapsigargin abolished PPsand under these conditionsDKT did not induce PP depolarization. FurthermoreGinseng radix and Zingiberis rhizomes depolarized PPswhereas Zanthoxyli fructus fruit (the third component of DKT) hyperpolarized PPs. 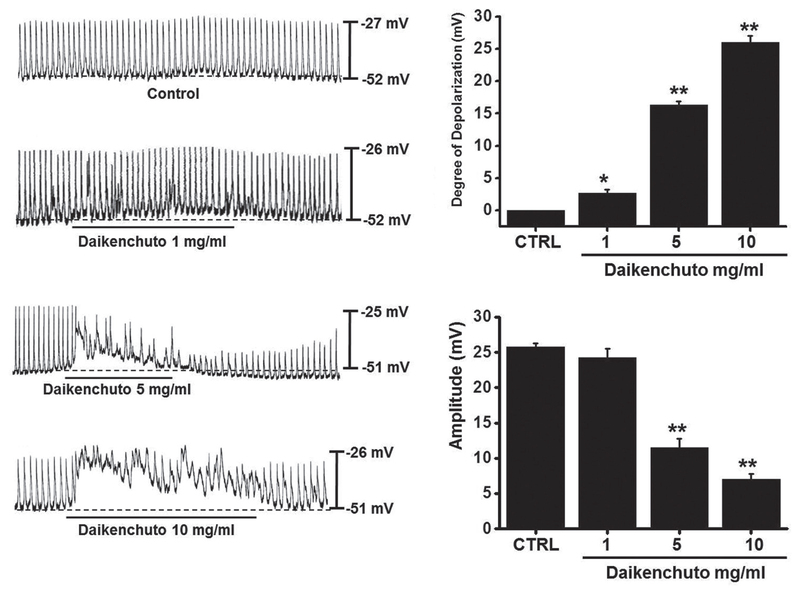 Conclusion: These results suggest that DKT depolarizes ICC PPs in an internal or external Ca2+-dependent manner by stimulating 5-HT4 and M3 receptors. Furthermorethe authors suspect that the component in DKT largely responsible for depolarization is probably also a component of Ginseng radix and Zingiberis rhizomes. Abbreviation used: DKT: DaikenchutoGI: GastrointestinalICCs: Interstitial cells of CajalPPs: Pacemaker Potentials. 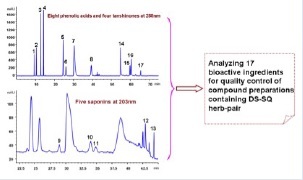 Background: Coptis chinensis Franch is a traditional Chinese medical herb.Objective: In this article, ultra-performance liquid chromatography coupled with quadrupole time-of-flight mass spectrometry was used to rapidly, qualitatively, and comprehensively identify the components in Coptis chinensis Franch. 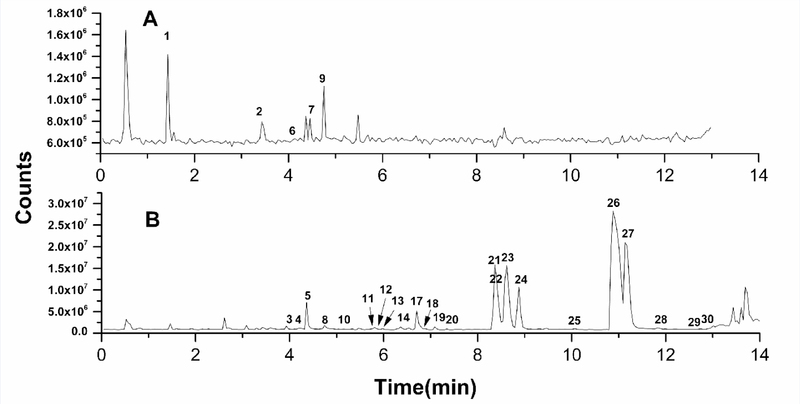 Materials and Methods: Chromatographic separation was achieved on an Agilent Zorbax RRHD Eclipse Plus C18 column. 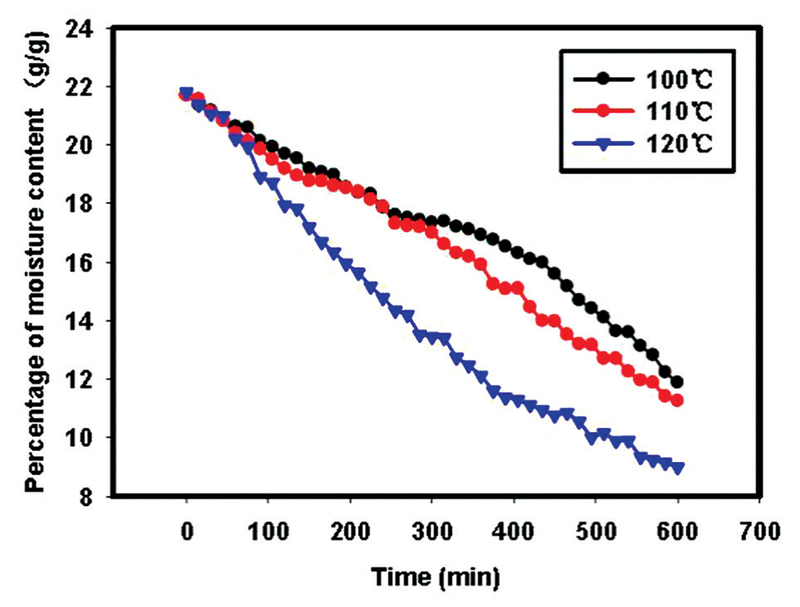 The mobile phase consisted of 0.1% formic acid water (A) and 0.1% formic acid acetonitrile (B) with a gradient program. 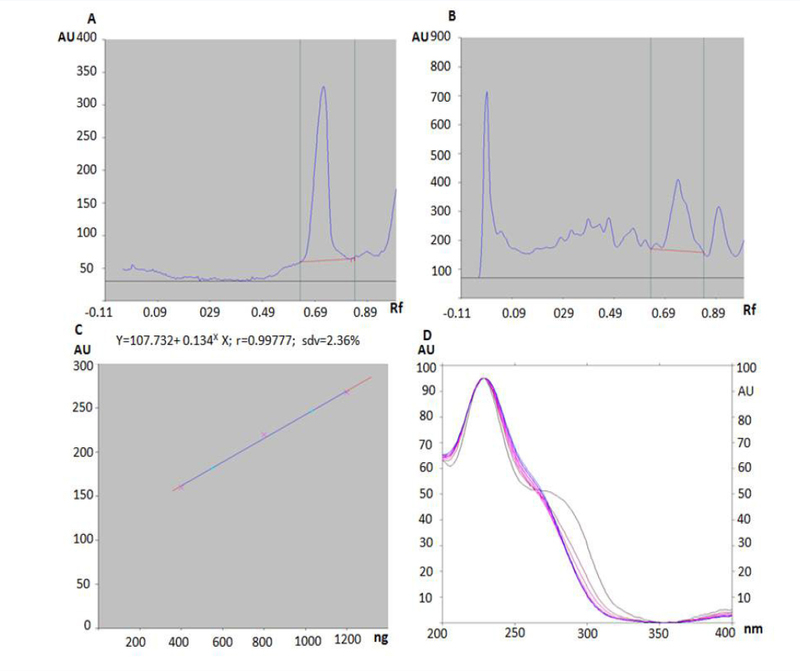 Qualitative analysis was performed on an Agilent 6540 quadrupole time-of-flight mass spectrometer, which was equipped with a Dual AJS ESI source operating in negative mode. Results: A total of 30 alkaloid and non-alkaloid components of Coptis chinensis Franch were identified in only 14 min.Conclusion: This study helped to provide a basis for the quality control of Coptis chinensis Franch. Abbreviations used: Q-TOF-MS: quadrupole time-of-flight mass spectrometry, UPLC: ultra-performance liquid chromatography, pos: positive, neg: negative. Objective: A method for rapid analysis of the refining process of honey was developed based on near-infrared (NIR) spectroscopy. Methods: Partial least square calibration models were built for the four components after the selection of the optimal spectral pretreatment method and latent factors. Results: The models covered the samples of different temperatures and time pointstherefore the models were robust and universal. Conclusions: These results highlighted that the NIR technology could extract the information of critical process and provide essential process knowledge of the honey refining process. 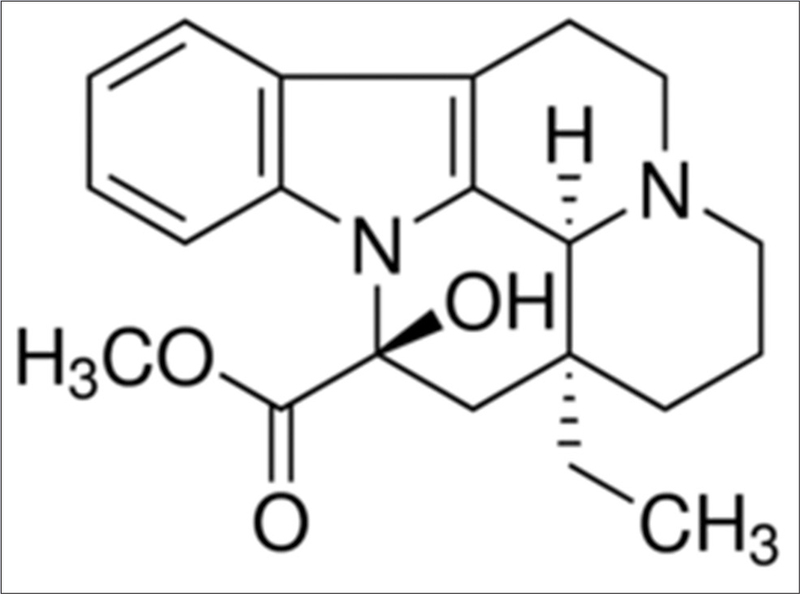 Abbreviation used: NIR: Near-infrared; 5-HMF: 5-hydroxymethylfurfural; RMSEP: Root mean square error of prediction; R: correlation coefficients; PRESS: prediction residual error-sum squares; TCM: Traditional Chinese medicine; HPLC: High-performance liquid chromatography; HPLC-DAD: HPLC-diode array detector; PLS: Partial least square; MSC: multiplicative scatter correction; RMSECV: Root mean square error of cross validation; RPD: Residual predictive deviation; 1D: 1st order derivative; SG: Savitzky-Golay smooth; 2D: 2nd order derivative.